While there are a number of myths behind hair loss, some are true and some are false. Here is a list of myths about hair loss in women and facts associated with it. Hair grows from the follicles on your scalp. 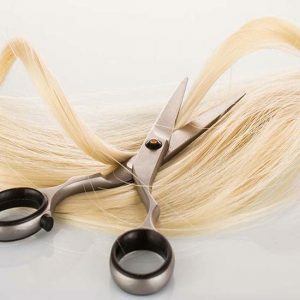 Cutting the ends of hair does not enhance hair growth. On an average hair grows about one centimetre a month. Due to the hormonal changes in the body during pregnancy, women experience hair loss, though it is only temporary. For both men and women hair loss caused by genetics is common. Hair loss in women can start at any time in an adult woman’s life. Though hair loss is at its peak around the time women reach menopause. Shampoos make your hair look thicker because of the ingredients that they contain that assist in temporary providing volume and swelling to the hair shaft. They are not formulated to revise the hair follicles. Shampoos do not help to regrow your hair. Extreme emotional and physical stress can lead to a temporary hair loss condition called telogen effluvium. Once the stress is controlled hair will start to regrow again. Female hair loss pattern can come from either your mother or father and the gene can skip generations. Just because your father, mother or siblings experience hair loss does not necessarily mean you will too. Dyeing your hair will not cause hair to fall, however, incorrect or bad styling techniques can lead to the strands becoming weak. 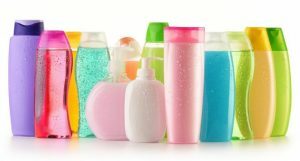 If you use too much of chemicals like gels, wax, sprays, hot iron, on your hair it will eventually lead to hair fall. It is a half true fact that Birth Control pill causes hair loss. The pills contain a hormone called progesterone that converts to androgen that can cause hair loss. Talk to your doctor about using the right birth control pill to avoid side effects like hair loss. The strands that you see on the floor of your bathroom are most likely the hairs that have lived their full life. Washing of hair only helps to get rid of the dirt. 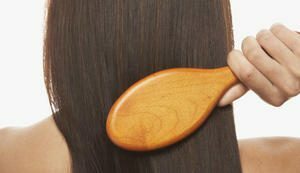 Brushing your hair too much and rigorously can cause hair to weaken and eventually falling. Brushing hair improves blood circulation but does not help in regrowth.